Is Monaco really worth the hype? 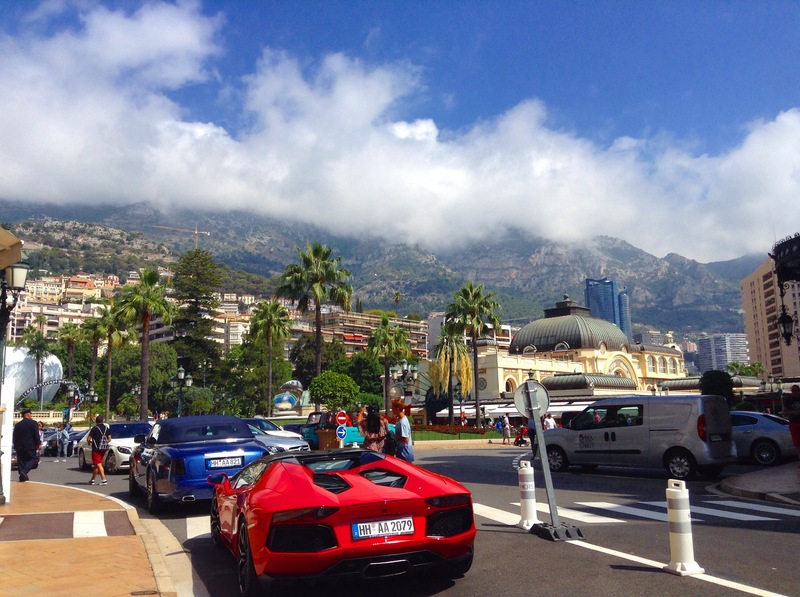 Monaco, the playground of the rich and famous, millionaire’s paradise – call it what you want. Regardless, the fundamental element stays the same: she’s very pretty. I’ve been aware of Monaco from a very young age, grâce à Formula 1. I have grown up admiring its formidable settings and lavish yachts. One day I had to visit and everyone I spoke to told me that I had to also. The Casino, the shops, the cars and the incredible views, it was straight to the top of my to-do list. During my summer holiday, I got to visit and had the most incredible two days. Arriving in the principality on a stifling hot day in mid-July perhaps wasn’t the smartest time of year to go, but hey, we were visiting France anyway and any excuse would do. Off the train my friend and I got, lots of luggage and bags between us – unfortunately, we hadn’t exactly packed light knowing that we were going to be away for over three weeks. We didn’t worry though; the hotel was less than 1 km away, or so Google Maps had said. Now, I am not even going to attempt to lie to you here. The first three hours we spent in Monaco were painful and I very nearly wanted to jump back on the plane and go home. And I hate aeroplanes. Out of the train station we went, turned left towards the hill that would take us up towards the Casino. Simple. I have done my Duke of Edinburgh, I know how this stuff works. I did not know how this stuff worked. It took over two and a half hours to reach our room, and in that time there had been blood, sweat, arguments, more sweat, tears and lots more sweat. And please do not laugh at me, but neither of us had realised quite how hilly this poorly sign-posted piece of land was. No wonder there were public lifts and steep stairs cut into the cliff faces. They were shortcuts. Anyhow, after crashing on the bed in our apartment room, not so fresh, I was in a bit of a mood with Monaco. You know that person who you try and try to like but still end up immensely disliking them, even though they have done nothing physically wrong? Well, that was me and Monaco. After a cool down and a life-saver in the form of coffee, we ventured to the beach. I had spoken to the receptionist and she told me the simple directions – two lifts, stairs and BAM! we were there. Oh no. An hour later and I was losing faith very rapidly in humanity. Being the only one who could speak French, I asked a number of locals for directions and they all gave me completely different information. Diabolical. We did eventually get to the beach, that wasn’t really a beach. The sea was nice but the sand and stones were clearly a man-made addition for the principality. Perhaps the only upside was ordering a Sprite and getting a MASSIVE Spritzer for the same price as my lemonade. Thanks very much. Actually, that didn’t work out too well either. I ended up taking a bit of a stumble and ended up having a nice gash on my knee for the rest of the trip. Mercifully, things picked up that night. We got changed, looked semi-acceptable for where we were (I accepted a long time ago that I would never look like Kim K) and headed to the old town. It was dusk by the time we got off the bus, a stop earlier, to overlook the harbour. Lights twinkled, the sky was clear and flooded with stars, the colour changing every second. All previous annoyance dissipated. 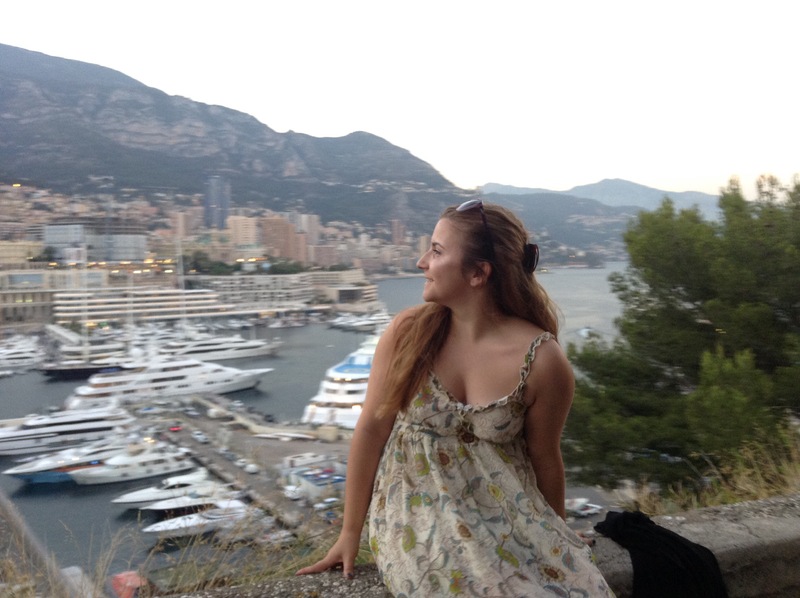 I fell in love with Monaco there and then. It had taken just a couple of hours to steal my heart. It’s a common conception that Monaco is expensive – and it can be if you get drunk at Jimmy’z (or just have one drink at Jimmy’z) and shop at Gucci. In my opinion, Monaco is as costly as you make it. 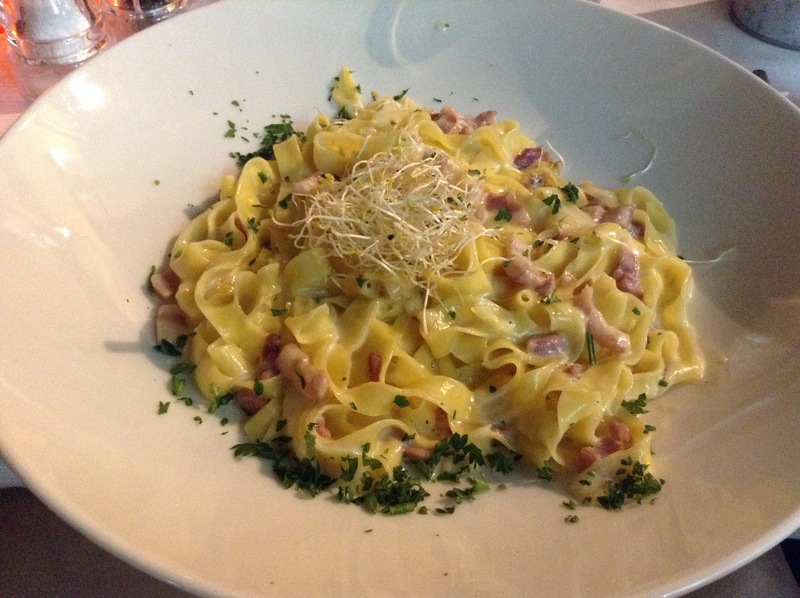 Our meal on the first night, in the old town, cost us around thirty pounds, a glass of wine each included. I am no mathematician, but that isn’t exactly a rip-off for some top quality Italian food with a beautiful ambience. We were just a stone’s throw away from the ocean. The following day was spent doing all the touristy things – Casino Square, the palace, walk of the Grand Prix track…oh, and a look in the windows of the designer shops. One can dream. From there we headed up to a small village called La Turbie, about a thirty minute bus ride from central Monaco. I had read up this online and knew what to expect. Regardless, I was still blown away. 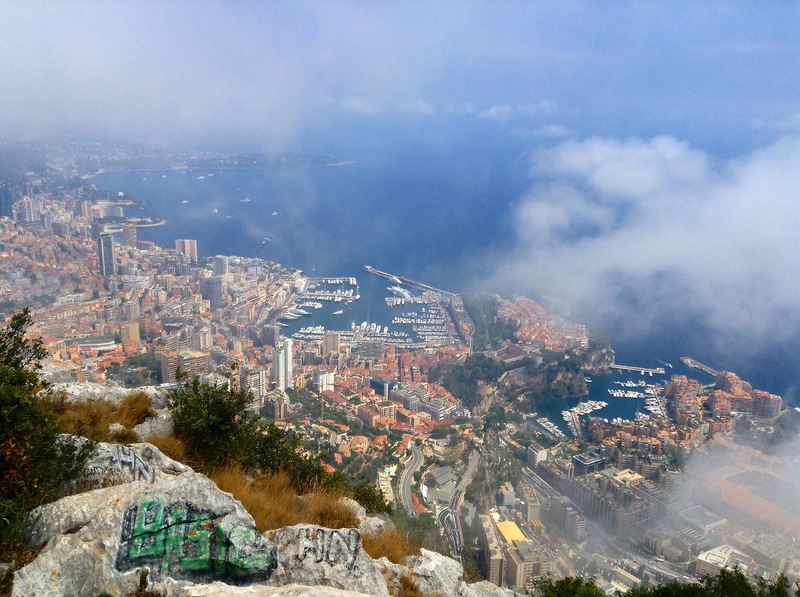 Sitting on the edge of the cliff, high up, watching as clouds covered the view before moving away and revealing the whole of Monaco. I was moved, genuinely. All the not-so-great things that had happened in the past year, they were forgotten about. All that mattered was then and there…that view! That night we ate at Stars ‘n’ Bars. Meh. Food was average but then again you paid for the setting. It is a paramount for any racing fan like me! I had to pinch myself several times; I couldn’t quite believe where I was eating my dinner. 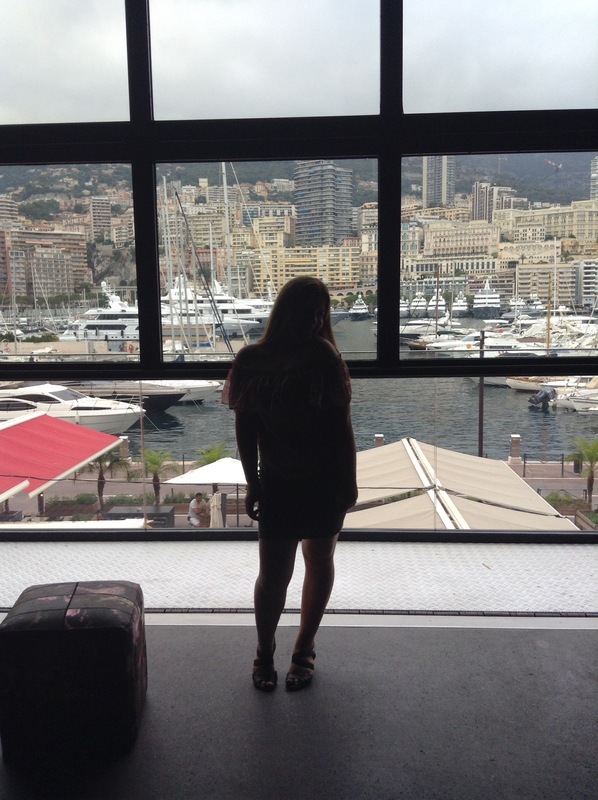 Partying in Monaco can be done on a budget too. We went to a Christmas bar, and all drinks were 5 euros, reasonable enough considering you were in the harbour – the most iconic place in the whole of the principality. Again, the night bus was fab. Monaco was less expensive than I had imagined. In fact, it was considerably cheaper than St Tropez and Nice. We did it on a budget and we had a fantastic time, even if we did spend most of the two days sweating in the sun. But that wasn’t the only reason why I would recommend it to everyone. The locals were lovely, welcoming and keen to show us their favourite spots. The weather was amazing, public transport put England to shame and the architecture was breath-taking. Monaco did not disappoint, and is definitely worth every single inch of the hype. So pack your sun cream, battery fan and a map; you’ll need it. This one had me smiling, a couple of times. Which is good, as that happens rarely. So here’s this: forget Kim K. Just do it. It’s useless. She isn’t worth it. Nor is she that pretty, imo..
Secondly i agree with the prices. Monaco has some of the cheapest seats, for the GP, out of the rest of Europe. No kiddin’. But I still have to go there, since I’m always lured in by the other old lady, which is Spa. Perks of living in Belgium, I guess. But back to the article, do you have someone who edits your stuff? Because I felt two or three sentences where off(don’t get me wrong, it’s constructive criticism, I genuinely loved it.). And I’ve learned that doing your own proof reading and editing does that to you, you’re prone to miss some (small) errors. But other then that, keep up the good work. Like I said: I’ll be reading some more here. Please point out any mistakes for I could not see any as such when I just re-read it. Unfortunately I do make mistakes as I am only human!